In-store fundraisers can be a lot of fun and excitement for both the venue and the organization inviting supporters. Before doing one for the first time with a new venue or organization, it's a good idea to get these details clarified in order to set expectations for both sides. 1. What percentage of sales will be donated to the charity? It is quite common for a store or restaurant to donate around 15%-20% of sales. However, percentages can vary, and there could be exclusions, such as alcohol, gift cards, or specific product lines. Make sure to confirm the hours of the event, whether donations will apply to sales all day or only during certain hours, and if there is a minimum number of guests or total amount of sales required. 2. Can the event be held over the weekend? It is very common for a restaurant to hold giveback fundraisers between Sunday-Thursday, so as to avoid their busiest times during weekends. Stores may have similar policies depending on their sales and other special events as well. Consider exploring other creative options, such as a late brunch or early lunch for a restaurant not normally open in the morning, or even fundraisers focusing on online or gift card sales for up to a month or more. 3. Will the percentage donated include all sales, or only those from guests referred by the organization? Be sure to clarify whether the percentage of sales to be donated will be limited to only those who bring in a specific flyer or mention the recipient organization, or all sales during the time period. 4. Does the percentage of sales include both food and drink items? Does this include alcoholic drinks as well? 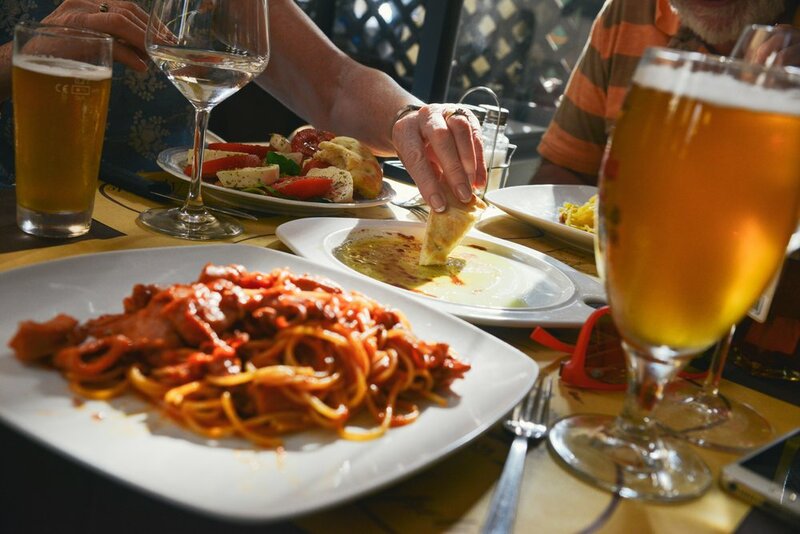 Depending on the restaurant, venues may only donate a percentage of food sold, some include both food and non-alcoholic drink sales, while others will donate a percentage of everything sold. Partnering to create a signature drink or dessert for the event can also drive additional sales. 5. How will the business help market the event? And what type of promotions can the organization do? What marketing materials will the restaurant provide to the organization? It’s important to think ahead about methods like social media, flyers, e-mail newsletters, message boards, and online calendars which can be used to advertise the event. It is common for a restaurant to provide the charity with a flyer to be used for tracking sales and promotion. However, many businesses will not allow the charity to distribute the flyer immediately outside the venue during the time of the event, so it's necessary to plan ahead to develop successful methods for marketing the event in advance. If the fundraiser is at a store or boutique, find out if shoppers can arrive early and put items on hold to purchase during the event. Ask if purchases can be made through an online store, which would invite sales from out-of-towners. 7. How can the event be personalized? One of the best ways to increase event attendance and traffic is to feature something very unique, such as teachers cooking or serving food; an officer, director, or the school band performing; a special discount; or a raffle for a coveted prize or experience, donated by the venue or created by the charity. If there are any limitations based on insurance or capacity, be sure to figure those out ahead of time, too! 6. How will the organization receive the donation? After all sales are tallied, how will the organization be receiving the donation? It’s common for a restaurant to prepare a check for pickup within a few weeks from the date of the event, mail it, or even electronically deposit the funds into the organization's account. Some states have deadlines for how quickly funds must be transferred, so it's always a good idea to refer to your state's Attorney General's office for help. Great partnerships begin with a clear understanding of what each partner brings and what to expect. We hope these ideas enable you to ask the right questions, clarify details, get creative, drive more sales, and raise more money! 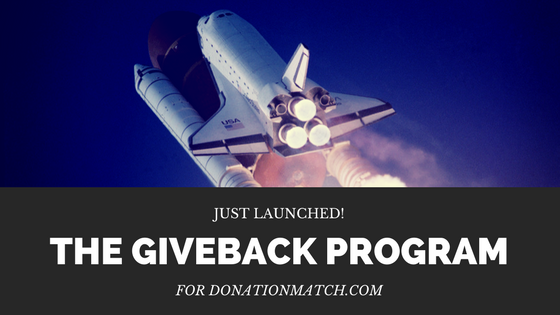 The team here at DonationMatch is thrilled to announce that we recently launched a new online platform, The DonationMatch GiveBack Program! This new product connects restaurants and stores with nonprofit organizations to host in-store fundraisers. The GiveBack Program will be offered as a feature on our main platform, DonationMatch.com. The GiveBack program was created to help any restaurant, brewery, winery, store, service, or online company looking to donate a percentage of sales to nonprofits and causes. The platform makes companies available to causes that are seeking fundraising options, providing easier scheduling and marketing for the businesses. Restaurant fundraisers are popular events for charities and schools, because a percentage of the sales earned during that night are donated to a nonprofit hosting the event. Fundraisers have also been shown to be a great marketing tactic for businesses, by providing another method for gaining new clients and sales, while giving back to the local community. Through the easy-to-use platform, restaurants can receive fundraiser requests, be able to provide event promotional tools to charities, and view analytics post-event. “We are very excited to launch our latest product, the DonationMatch GiveBack Program, said Renee Zau, CEO at DonationMatch. “Current DonationMatch clients had expressed a need for a tool that efficiently manages and streamlines the process of hosting restaurant fundraisers.” Companies who contributed to the design and creation of the GiveBack program include: Buffalo Wild Wings, Dream Dinners, Picaboo, and Henebery Whiskey. Zau is pleased to launch the GiveBack Program to provide even more functionality to the DonationMatch platform. Companies interested in trying out the new platform can sign up online through DonationMatch.com and may begin using the Starter option free of charge. About DonationMatch: DonationMatch is a social enterprise that creates online cause marketing software for companies and nonprofit organizations. Since 2010, DonationMatch has facilitated in-kind gifts worth more than $34 million. Co-founded and led by CEO Renee Zau, DonationMatch was recently named to the SheEO "Top 25 Ventures" list for U.S.-based companies in 2017.